progressing, but this hat is giving me fits. I keep thinking of the “less is more” theory. Wonder if that would work here. 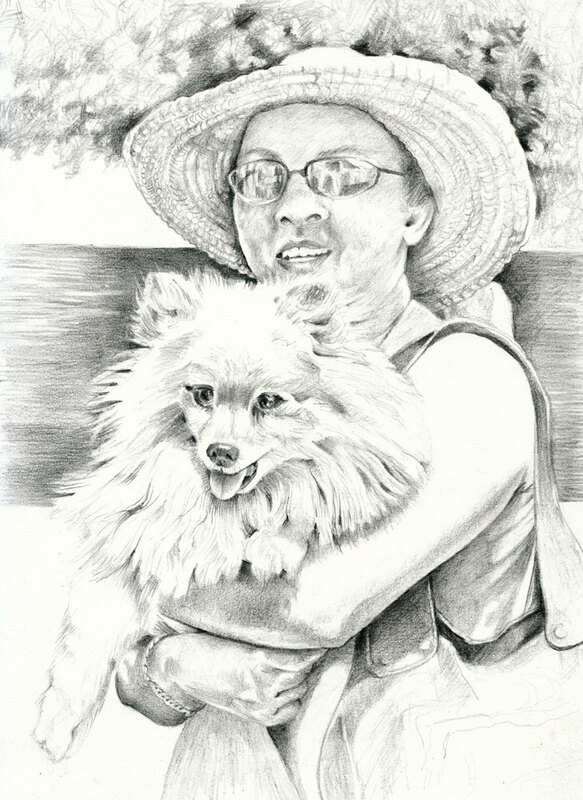 This entry was posted in Uncategorized and tagged dog, graphite drawing, lady, Linda Kay Thomas, Linda Snider-Ward, Louisiana artist. Bookmark the permalink. Wow, what clarity – and I admire your realism with the dog’s lovely coat and the girl’s glasses!